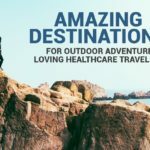 Often referred to as “The Valley of the Sun,” Phoenix is the place to go for healthcare travelers seeking year-round sunny skies, along with outdoor activities and outstanding cultural offerings. Here’s just a taste of the fun things you can do in this southwestern city. Spectacular 1,200-acre Papago Park is a popular place for picnics and hikes, and it’s also home to Desert Botanical Garden, where you can stroll through to view succulents, nurtures cacti and a wide variety of other desert plants that are strewn throughout a rotating collection of modern art. Spring is an especially wonderful time for a visit, with the wildflower exhibit bursting with color in March and April. The Garden also hosts a wide range of lectures and workshops for those who would like to know more about the flowers and plants that live in the desert. You can learn about everything from botanical art and illustration to horticulture and desert landscaping. After a visit, you may want to stick around a while as Papago is not only ideal for hiking, filled with unique orange-red sandstone geological rock formations like Hole-in-the-Rock, but it’s the perfect place to watch the sun go down, with the sandstone buttes taking on an even deeper, vibrant hue. 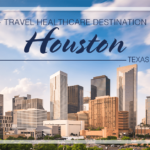 As Phoenix is home to three professional sports teams, major league baseball’s Arizona Diamondbacks, the NFL’s Arizona Cardinals and the NHL’s Coyotes, there’s bound to be a game of some sort no matter what time of year you’re here on a healthcare travel assignment. If you’re a baseball fan and are here in the spring, you can join the thousands who come to this area to watch their favorite MLB team prepare for the coming season, enjoying great cheap seats that are close enough to see the expressions on the players’ faces, and even the opportunity for personal encounters and autographs too. The “bat cave” is on the north bank of the Arizona Canal, a few hundred yards west of 40th Street north of Camelback Road. Every evening around dusk from the specially built deck, you can witness as many as 20,000 bats fly out at once for their nighttime feeding. 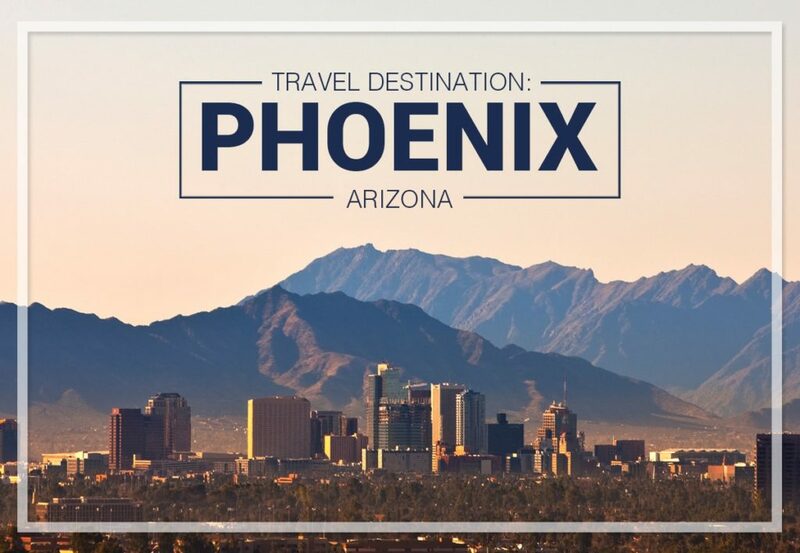 The Phoenix-Scottsdale area is renowned for its spas, in fact, Scottsdale is home to more spas per capita than anywhere else in the entire nation, which means you should really take advantage while you’re here. The Camelback Inn is just one of the countless options to choose from, and it doesn’t require an overnight stay. As long as you book a treatment at the spa, you can take advantage of the facilities and hang out all day if you’d like. The Superstition Mountains are one of the top spots for hiking close to the city, with some 180 miles of scenic trails that wind through canyons and even around tranquil pools of water, leading to some of the most stunning views in the Phoenix metro area. Set within a 1929 vaudeville house, the historic Orpheum Theater is a magnificent place to catch a performance. Step inside and marvel at the lobby with its Spanish Baroque Revival décor, and the hand-painted ceiling in the theater itself, which depicts a colorful sunset as it transforms into a star-filled night’s sky. Just be aware that this venue is also said to have its own resident ghost, Maggie, who’s been spotted on a number of occasions in the balcony, gazing down at the audience. If you’re a golfer, that’s likely just one of the many reasons you’re contemplating a travel job in Arizona. There are hundreds of public golf courses in the state, and many of them are right in the Phoenix area. If you don’t play, this is your opportunity to learn how. There are few better ways to relieve stress and enjoy a fun time on your off days.